Bill Cosby was dealt a stunning setback and a legal major rebuke by a Pennsylvania state court judge this week. His lawyers filed court papers asking the judge to stop the newly renewed prosecution of three sexual assault charges filed against Mr. Cosby in Montgomery County, Pennsylvania. His argument was based in equity and basic estoppel contract law. Twelve years ago the prosecutor from Montgomery County announced that he would not prosecute Bill Cosby on the charges. The allegations of sexual abuse in 2004 were and are the same Mr. Cosby is currently facing. Relying on the prosecutor’s statements that no prosecution would be undertaken, Mr. Cosby moved on with his life, responded to lawsuits in civil court, made statements in that lawsuit as required, and did nothing to preserve defenses, evidence, and witnesses which he could have used in this defense had he been prosecuted 12 years ago. Now, 12 years later, the recently elected prosecutor Mr. Kevin Steele announced that he was reopening the case. Mr. Steele in his campaign to get elected as the prosecutor in Montgomery County, Pennsylvania, featured his intent to prosecute Bill Cosby. 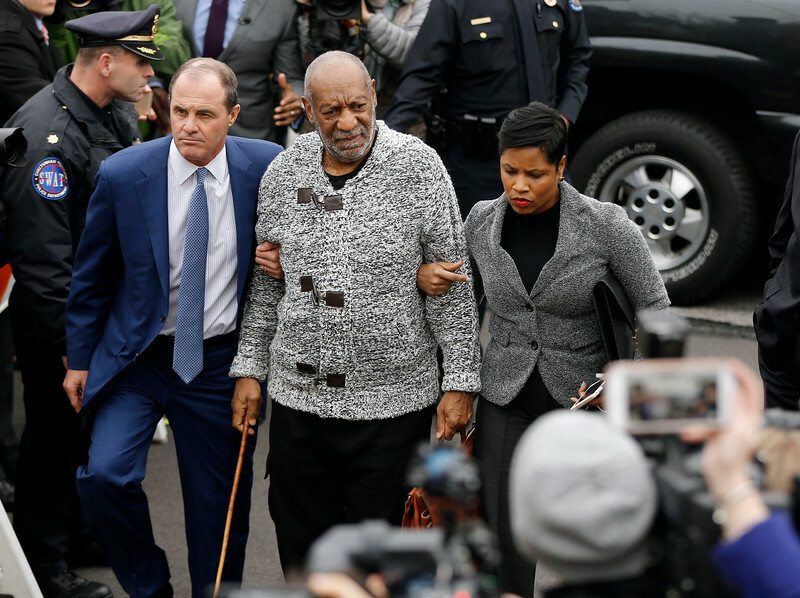 Mr. Cosby’s arguments which were grounded in contract and equity law did not resonate with Judge Steven O’Neil. Judge O’Neil denied Bill Cosby’s motion to stop the prosecution and gave the prosecutor a green light to proceed in the criminal courts. The incident in question arose in 2004. The allegations are that Mr. Cosby provided unidentified mood altering or intoxicating pills to a Temple University basketball employee, a female, and then allegedly penetrated her with his fingers. Mr. Cosby maintained then, and now, that the sexual contact was consensual, willing and voluntary on the part of both him and the purported victim. The defense argues that former prosector, Bruce Castor, made an oral agreement not to prosecute Bill Cosby. In argument, Mr. Cosby’s attorney prominently displayed a newspaper press release by the then prosecutor clearly announcing his intention not to prosecute Mr. Cosby. The prosecutor, Mr. Castor, actually wrote the release himself in his capacity as district attorney. Legal observers believe that this situation and its current resolution are ripe for appeal. Prosecutorial discretion is a historically protected power and has been largely exempted from judicial review. The exceptions, where a court will intervene and bar or stop a prosecution, are for bad faith prosecutions and those which are motivated by malice or pursued for improper purposes. The politics of prosecution argument which is highlighted here, opens the door to arguments of abuse of discretion and improper motivation. The next step in the process of the now active prosecution, is a preliminary hearing. In this hearing, the state must put forward testimony and evidence to establish a pattern of such behaviors by Mr. Cosby, and to demonstrate a good faith fact based prosecution is being undertaken. The prosecutor must present competent evidence to prove the charges. This next step will be the focus of future reviews by this writer. There are significant implications and issues in play here. The focus is on whether a person who is accused in the public domain of a crime who relies on statements of a prosecutor can bar future prosecution. Where it ends is anyone’s guess but it certainly will make new law.